The Juneau Ferry Terminal is located in the Mendenhall Valley, only 8 minutes away (driving) from our hotel, the Frontier Suites, and just under 20 minutes from our sister hotel, the Juneau Hotel. 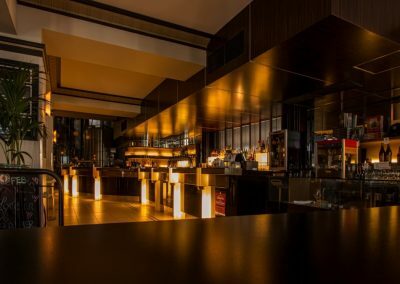 Both properties offer a free shuttle connecting visitors from the Ferry to the hotels on a first-come first-serve basis. Just give us a call when you land, and we will take care of you! Once you’re well settled in, take some time to explore the water adventures that Juneau has to offer. Here are a few starting points to help you choose from the wide variety of activities available. With an overwhelming 98% excellent reviews, the Mendenhall Lake canoe tour is an exciting experience. Still thinking about it months later is one of the reviews left by countless adventurers. There is something magical about reaching the shore after a paddle across the glacier-fed Mendenhall Lake. The lake has a maximum width of 1.8 miles (2.9 km) and freezes in the cold season. But in the warmer months of the year, it’s an especially stunning sight. Exploring it from within a canoe is a special way of interacting with the local nature, especially given the Mendenhall Glacier’s significance. But be ready for a high intensity work out! Tours’ lengths vary between 2.5 and 7 hours. The starting price for this tour is around $300 and it includes professional guides, the necessary equipment, and snacks. 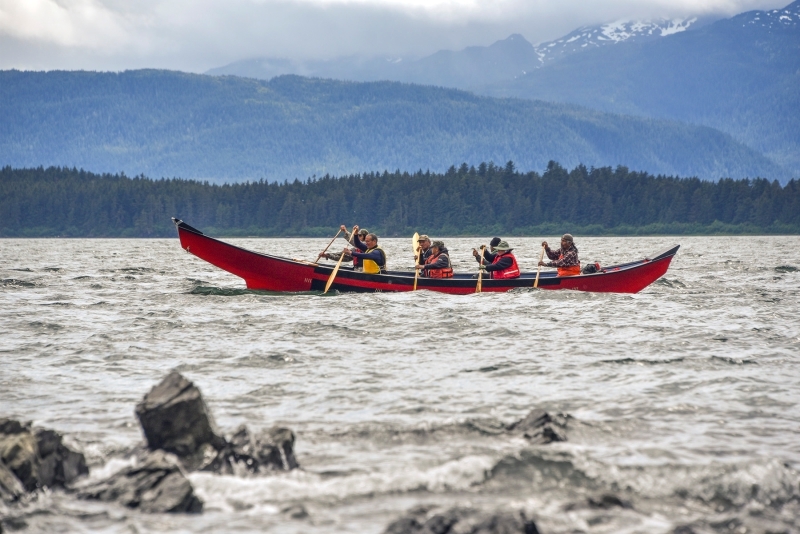 Alaska Shore Excursions and Juneau Shore Tours offer canoeing experiences on the Mendenhall Lake. Looking for Lodging while in Juneau? Isn’t kayaking and canoeing the same thing? Actually, no. 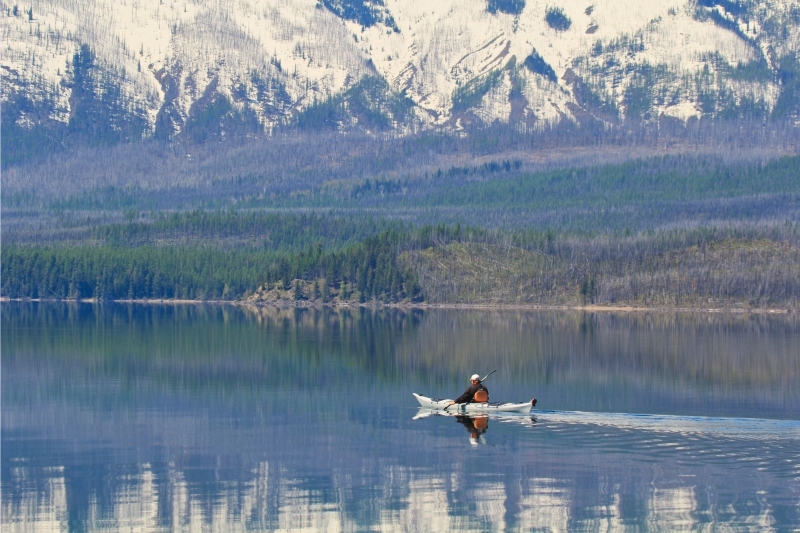 There are a few distinctive differences between a kayak and a canoe. 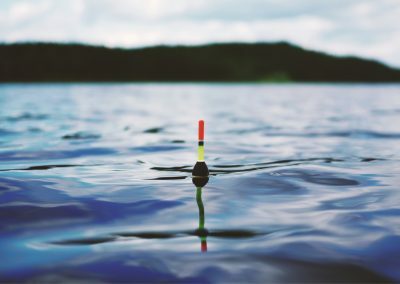 The most obvious one would be the type of paddles: shorter and single-edged for canoes, longer and double-edged for kayaks. Also in a kayak, the paddler has his/her legs stretched out front. In addition, it’s a closed-top boat. On the other hand, in a canoe the paddler stays in a kneeling or sitting position. In any case, kayaking is yet another way to discover the waters of Juneau’s incredible lakes. The starting price for a kayak tour in Juneau is around $210. The routes comprise a paddle among the floating icebergs of the lake. There are also quite a few places to stop along the road for pictures and breathtaking views. Here is a list of the top kayaking services in Juneau. Whale watching is one of the main attractions in Juneau, as the plethora of whale watching tours suggests. Make sure you book the tour well in advance as spots fill up quickly! TripAdvisor is an excellent source to find good whale watching tours. There are more than 600 humpback whales passing through the Gastineau Channel each summer. 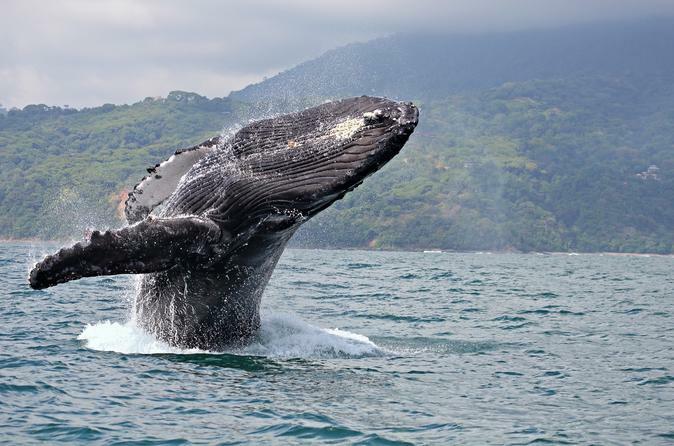 Many companies offer a partial or total refund if you don’t see any whales during the tour. Make sure to read the providers’ policy before booking. Make sure to dress for the water temperature, not the air temperature. The Alaskan climate is quite harsh, and an extra pair of warm clothing is always a good idea. 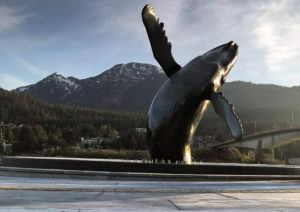 Juneau is definitely identifying with the humpback whale, and we use it as a symbol of our town. You can spot a statue of a humpback whale on the campus of our only university in town (Spike the Whale is also this university’s mascot!). Also, we have a beautiful Humpback Whale Statue located literally next door from our sister hotel – Juneau Hotel. It is definitely worth checking out while in town! We’ve also prepared a few more insider’s tips for traveling to Juneau. 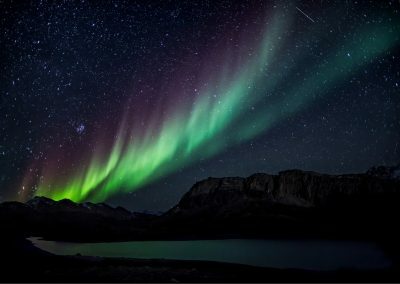 Planning a trip to Juneau? Let us take care of your accommodation and ensure you have a great stay at the Frontier Suites Hotel in Juneau and at the Juneau Hotel so that you can enjoy your time in our beautiful town!